Dimethyltryptamine (DMT) is a hallucinogenic. It is found in a variety of plants and seeds, and can also be produced synthetically. DMT is a Schedule I drug, (like heroin, meth, and LSD), meaning it has been found to have a high potential for abuse, has no accepted medical use in treatment, and has been found to be dangerous. It has never been approved by the Food and Drug Administration (FDA) for marketing or consumption as a human drug product. 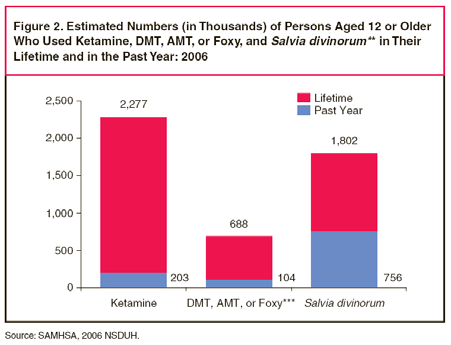 Less than 0.2% of the population report having used DMT, AMT, ”Foxy”, or a similar hallucinogen within the past year. The Substance Abuse and Mental Health Administration (SAMHSA 2006) estimated that less than 700 youth and adults have ever reported using DMT, making it one of the least abused Hallucinogens. 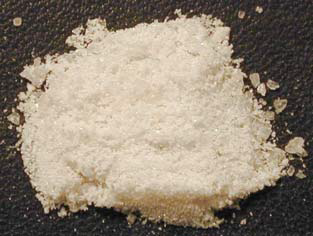 DMT can be crystallized, and in some cases appears almost feathery. 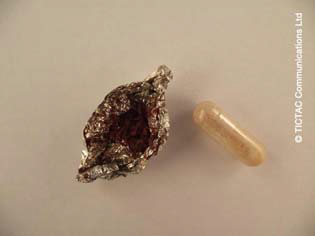 ​DMT is typically crushed into a powder, and even put into pill form. 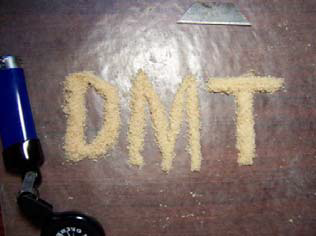 DMT is an addictive drug with potent psychological and physiological effects. The drug is often considered one of the most potent hallucinogenic. Like other hallucinogens, DMT distorts a person’s perception of reality, producing visual (and occasionally) auditory hallucinations, feelings of detachment from one’s environment and oneself, distortions of time and perception, and strong feelings of anxiety, fear, and paranoia. The drug is fully hallucinogenic at small doses (0.2 miligrams). It binds to receptor sites in the central nervous system, where it acts as an agonist (Pierce & Peroutka 1989; Smith et al. 1998). The effects demonstrate very quickly, but usually pass within 30-40 minutes. Some research suggests that humans don’t build a tolerance level with the drug very quickly, (Strassman 1994 – Journal of General Psychiatry). “Virtually all data sources indicate that the DMT experience has a substantial degree of unpredictability with respect to both aversive and positive aspects, depending on variables such as dosage, participant’s intention, [environment] and setting,” (Gable 2006: 30). Increased heart rate (0.4 mg/kg dose raises heart rate by 26 beats/minute – Gable 2006). Physical discomfort and chronic pain (e.g. backache). DMT is extremely difficult to gain access to (and quite expensive), and therefore is more of a ‘delicacy’ among frequent hallucinogen users. It is most commonly abused among 18-25 year olds, but even among them, only 0.2% report having used it within the last year (SAMHSA, 2006 NSDUH). Local law enforcement and therapists say that reports and incidents involving the drug are quite rare. DMT is most often smoked through a glass pipe. Note the tinfoil covering the top, or the glass cap/plug. This is to prevent the vapors from escaping into the air, channeling them down the pipe to the smoker. ​Hallucinogen paraphernalia also include vibrant lights and visual art and fragrances that are “psychedelic” in nature.